August 5, 2017 August 5, 2017 by Vinay Leo R.
I am participating in the 6th Write Tribe Festival of Words. I hope to blog for seven days in a row. The theme for Day 1 is “Write about a Treasure you have”. I grew up listening to stories from Indian Mythology that my grandmother told me. My fourth grade English teacher helped that love for stories to grow. She created a small library only for our class. Each of us would give one book to the library. Over the school year, we’d take one book every Monday and return it the next. If we lost a book, we had to replace it. That helped to make us punctual too. I realized that stories can be anywhere around me. That realization led to poetry a year later. I looked for a story, saw a butterfly, and then found a verse. I chased academic excellence. In that chase, I fell in love with some text books. In a way, I lost the love for stories. I used to read the novels I borrowed from my neighborhood library, but there wasn’t an excitement anymore. It was only when I started to build my bookshelf that that passion for reading was revived. I bought books I’d always wanted to buy. I re-read books from authors I had loved reading in school. As I read more, I learned from what I read. I became a better writer. I met acquaintances who loved the same books I loved. It was like the book was recommending the person. Some of those acquaintances became friends. Some of those friends became best friends. We exchanged books as part of Secret Santa during Christmas. We talked on books, personalized them with our thoughts, and made a memory to savor. My bookshelf is made of memories, of countless words I’ve learned and of countless worlds I’ve dived into. I smile when I talk about it, and it is my ray of hope when I’m sad. Yes, it is a little thing to many of those around me. But it is a little thing that matters. My bookshelf is not just a bookshelf. It is my treasure chest. I’ve grown up believing that a person who reads, is never truly alone. I’m so tempted to plunder that treasure. ? Some times books saves us from multiple situations and also gives us so many memories. For a book lover, his book shelf is one of his greatest wealth. I agree. Multiple situations of reality can be escaped by diving into a good book, SSJ! And for me, it IS my greatest wealth till now. You know, I have somehow lost my love of reading books. I did buy some & promised myself to read one each month but nay. I hope like you were able to revive the joy of reading I can too! I like how your class teacher made a library just for the class! So thoughtful. Loved the last two lines, that your bookshelf is not just a bookshelf! You can always find it again, Z. It’s not that hard. 😀 Glad you liked my post, and the memories with it. I used to own one such treasure chest until I relocated. Now trying to build one again. Indeed books take you on a beautiful journey. ? 🙂 Once an always build this treasure, I think. Glad you liked the post and could relate. Thank you, Raji. Bookshelves are the only things I feel remotely sentimental about too, Damyanti. 🙂 They’re my most prized possession, something that very few people understand. Glad you could relate. Loved reading it. I have similar sentiments about my and my son’s bookshelf which we have been building diligently over the last 4 years. My favourite line from the post – Books recommending the person who we shall become friends with. I can follow. 🙂 Even my book treasure has been built over time, Anamika. 😀 Glad you liked my post! I loved your take on the prompt, V. Books are indeed a treasure! Cheers to writing seven days! My overflowing bookshelf is my treasure chest too. The only way to redeem it is to get a bigger bookshelf. You have said about a treasure which is so close to my heart. Yeah. I hope that that bigger bookshelf is a possibility for me too, Lata. Thank you. 😀 Glad you could relate. I had considered my books as my treasure too but I have another weakness/hobby which actually saw me through tough times and is therefore earmarked as my life saviour. So I have chosen to write about that. I loved the way you have equated reading books with making memories out of the stories you read and experience in your head. May your treasure chest grow by leaps and bounds, enrichening you further as the days go by! Yeah. I saw your hobby. and the treasure is a nice one too, ShalzMojo. 🙂 Glad you like my post. Thank you. I hope that treasure grows too. So well put, Vinay. A bookshelf may be a little thing, and something that’s overlooked as a treasure. But yes, the memories of the words and the memories of the books is indeed a real treasure! It is overlooked many a time, Sreedeep. 🙁 But it is the best treasure, I feel. 😀 Thank you. With books, you are never alone. The delight, contentment, awe, sorrow, thrill, horror that books transport you into is nothing short of a miracle. 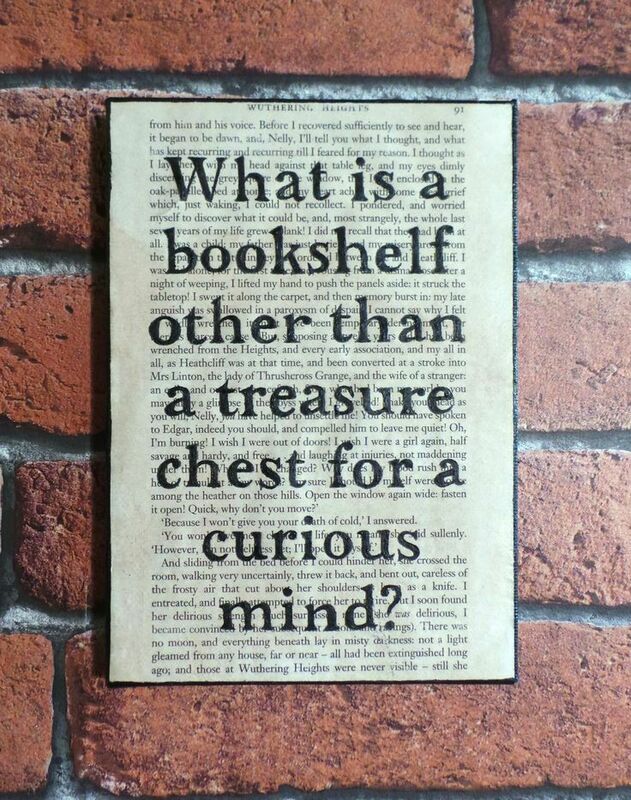 You are right, your bookshelf is a treasure chest that is priceless! Absolutely. A lot of company, a lot of emotions, a lot of miracles. 🙂 Thank you, Kala. Oh …. such an adorable treasure. I too cherish the books and book self of mine. Your post related with me the most. Looking forward to read more from #WTFOW !!! Yes. Books are wonderful treasures. 🙂 Thank you, Vasantha. I saw some of yours in your post too. Next only to nothing, books definitely are the best buddies! And if u hv such a great company, you are simply the richest person… afterall a man is known by the company he keeps! Thank you, Anagha. 🙂 Yes, quite rich that way. I feel so too. 🙂 Yes. A lot of stories, and I’m sure they are treasures for many people. Thank you, Payal. Leo, what a lovely post it is ! Bookshelves contain so many stories and poems from so many places that it is indeed a treasure to hold and protect. I have a few shelves and love just rearranging my books on them, rereading some favorite books makes me happy too. Absolutely, Sulekha. 🙂 Thank you. That treasure from near and far gives a world to jump into at short notice as well. 😀 A getaway from reality. And yes, quite nice to rearrange the shelves. Oh it’s the best treasure chest there can be. Books open up worlds for us! Incidentally, the library was my favorite place in school, too! Yes. The favorite place of bookworms in school would be the library, I suppose. 🙂 Thank you, gypsy. It’s so amazing to note that for all of us, our love affair with books started pretty early in life. And I am so glad that it is going strong for most of us. PS : I love your collection of books. Yeah. Quite true. 🙂 But then again, school plays a big part when it comes to the love for reading, I feel. Maybe that’s why that love affair starts there. When I was writing on this prompt, I did think about books too. I cannot imagine a world without stories or the ability to read. It must be so empty. Books are my treasure too. Its indeed a wonderful post! 🙂 That’s nice to know. I’m quite happy to have had you as part of my little Tribe group too, Keerthi. And glad you could relate to the treasure as well. Thank you.